With my long hair now, I have to be honest, it's really hard to arrange "those stuffs". You don't want to eat your hair when you enjoying your ramen, you don't want to see your terrible split ends when you are f*cking busy. The most important is you don't want to have your hair cut (I still love "those stuffs)! 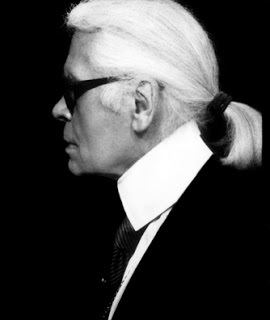 Karl Lagerfeld & ponytail & sunglass. Now totally understand why Karl Lagerfeld always with his ponytail (If I have a chance to see him, I will absolutely ask him this question, and where to get nice hair band). It's like "I don't have time to arrange my hair, I don't want to look like bareheaded, at last I still have hair.". And Karl has his fan and sunglass, I need my cap. It explains why I already bought 3 baseball caps before Paris's summer. Here is my first Boy London's piece, classic black cap white "YOB" slogan. 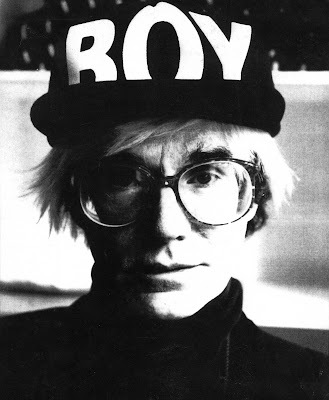 And I'm quite surprise it's not many persons (or store) wear (have) Boy London. I love it, it's kind of cap you can wear everywhere, and it goes with any clothing. I mean it's quite 80s, old fashion with the big white slogan. Even you just wear t-shirt & jean (even without makeup), with the cap you can still catch somebody's eyes easily. 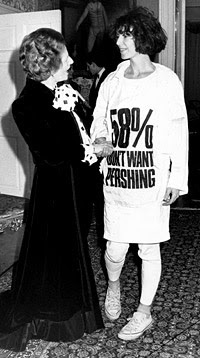 And everyone (almost) can get that (£35), Rihanna can, Andy Warhol wear...etc. Kind of like... Coca-Cola! Making think of what Andy Warhol said "Nancy Reagan drinks Tab, Gloria Vanderbilt drinks Tab...and just think you can drink Tab too." It's the same thing, my dear. If you don't mind I have to go now, I gotta tell Karl to get one (Well, i know he doesn't need that but I will get another white one sooner or later...).